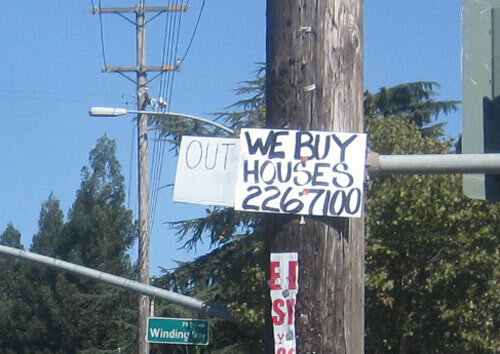 I don't know what the scheme is behind these "We buy any house" signs, but I don't like it. What kind of business doesn't put their name on their signs? 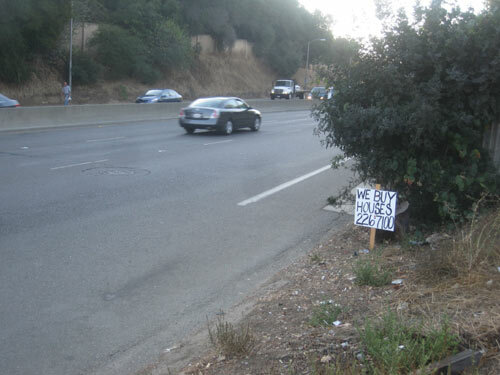 And who puts out a sign offering to buy your property? Pawn shops & Cash4Gold. 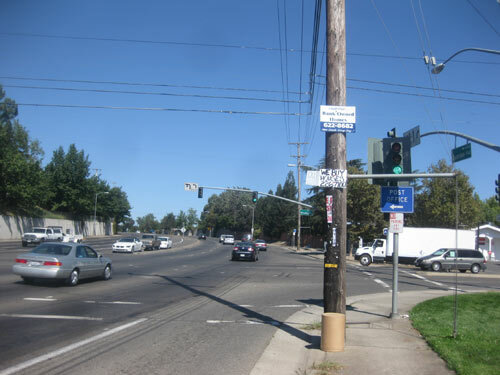 In Sacramento, the problem is even worse. 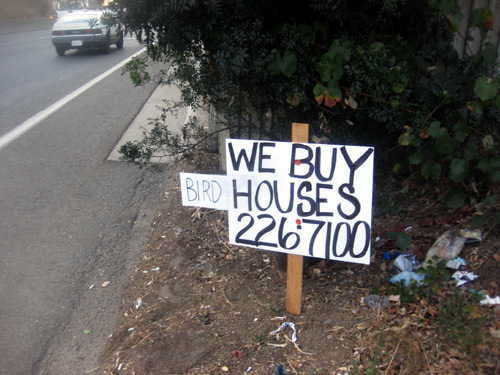 All sorts of variations have arrived, such as this "We buy birdhouses" sign. 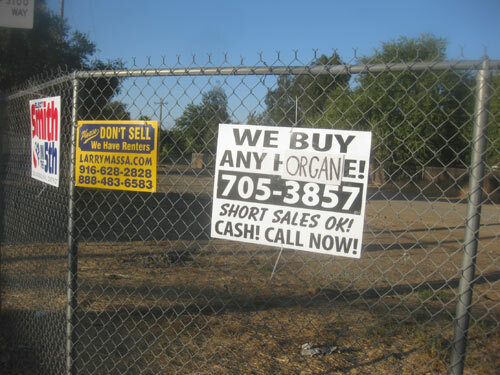 At Hurley and Morse, someone is offering to buy ANY ORGAN. This one was 10 feet off of the ground, so whoever nailed it to the pole had to have used a step stool. Which is amazing, because they were just advertising their desire to buy outhouses!